We’re building a bioswale! So what is that? Our new bioswale, near the corner of Edgewood & Yale, in front of the Edgewood School. 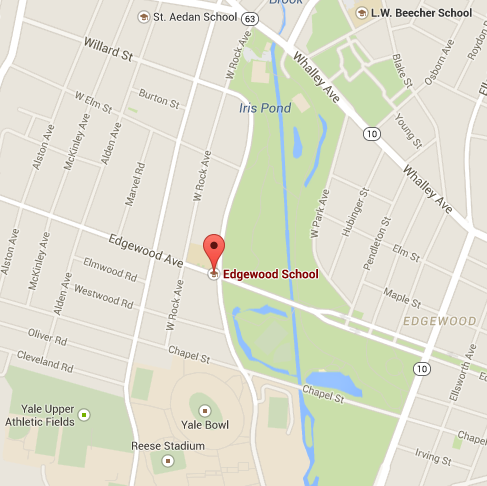 On Wednesday, December 3rd, the City of New Haven broke ground on a garden near the Edgewood School. While it may look like an average patch of perennials above ground, this garden will do much more than just add new green space to Yale Avenue! We’re building a “bioswale”—specially designed to use plants and soil to capture and filter rainwater and keep it out of our storm & sewer system. Bioswales are man-made ditches or depressions filled with plants, mulch, and soil. They are specifically built to maximize their ability retain water, which allows excess rain to soak into the ground and filter pollutants naturally. They are common around parking lots and along suburban roads, and are being increasingly built in cities as a way to add some green to the streets and keep the surrounding waters clean. In New Haven, rainwater and sewage travel through the same pipes called a combined sewer system. During heavy storms, these pipes are overwhelmed and New Haven’s treatment facility cannot process all the extra water. As a result, stormwater and untreated sewage overflow directly into New Haven’s rivers and Long Island Sound. This causes bacterial contamination and makes our water unsafe for fishing, swimming, and other types of recreation. 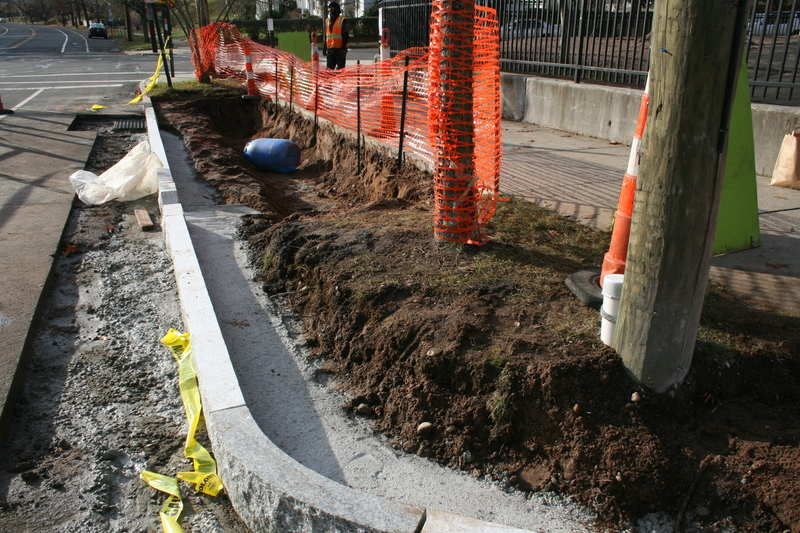 By capturing rainwater, the bioswale on Yale Avenue will help to reduce the amount of water getting into the pipes in the first place, and help to reduce the potential for overflows. This Edgewood project is sponsored by Connecticut Fund for the Environment/Save the Sound and construction will be a coordinated effort by CFE / Save the Sound, the City of New Haven, the Urban Resources Initiative, and the Edgewood School; with funding made available by the Greater New Haven Green Fund, the Greater New Haven Water Pollution Control Authority, and the CT Department of Energy and Environmental Protection. For questions regarding this project or other stormwater projects in New Haven and the West River Watershed, please contact Kendall Barbery at CFE/Save the Sound by emailing kbarbery@savethesound.org.